Summer is officially here in Texas, it’s hot and the kids are out of school! 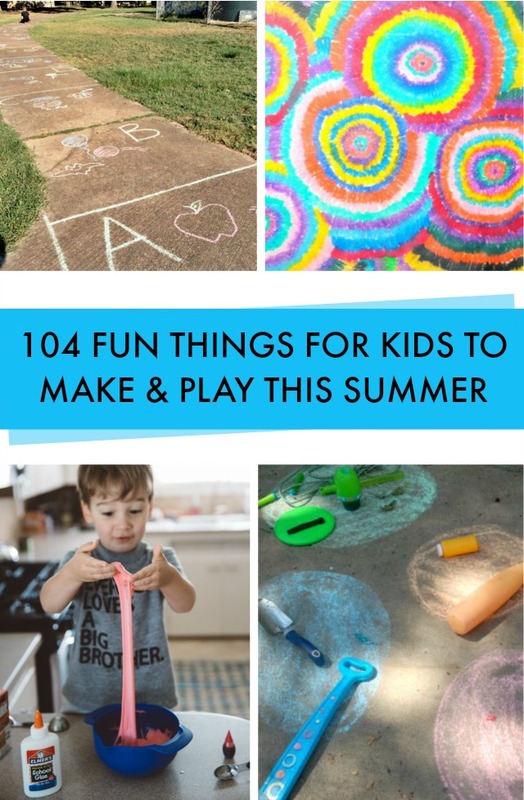 I put together a list of 100+ really awesome free things to do with kids this summer. The list is divided into 3 sections: indoor crafts and activities, outdoor crafts and activities and easy food ideas for kids. There is something for every age and interest on this list! 76. Invite friends over and play classic outdoor games (Red Rover, Red Light, Green Light, Mother May I? 85. Make (and play) with a tangram grilled cheese sandwich! Wow, what a list! Sounds like a lot I’d like to try 🙂 Thank you for including my popsicles! This is a perfect list! Thank you for including my crab soccer! Hi Jamie! Many thanks for the shout out for my umbrella craft! 🙂 Love all the great ideas, God knows I need them to survive the summer. Wow! What a GREAT list! I am definitely pinning this in my kid’s board! I have a great recipe on my blog for playdough, here: http://domesticsuperhero.com/2013/03/28/the-best-homemade-playdough-recipe/ Thanks for sharing!! !